Tell me your thoughts on the Amazon Echo. Do you like the product but don't buy into the Amazon ecosystem? Are you into the concept but don't want a black plastic cylinder taking up shelf space in your home? In case of the former, you might want to wait for Google Home. But if you're feeling the latter, then maybe you should check out the Triby portable speaker that comes with Alexa built-in. Triby's speaker is on sale on Amazon for 50% off. 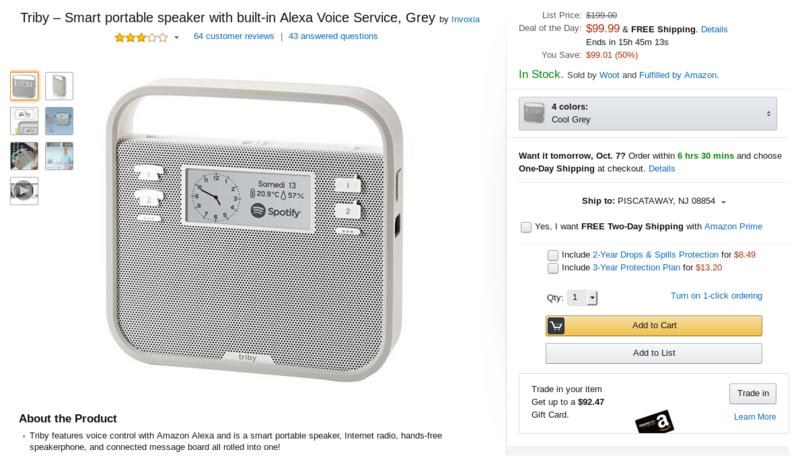 That brings the unit down to $99.99, $80 less than Echo. The Alexa integration lets you use voice commands to stream Spotify, get news updates, set alarms, activate smart home devices, and more. This product is a slender square with a handle, so you can tuck it against a wall or hang it from a rack. A magnetized back also gives you the option to stick the unit on a fridge. 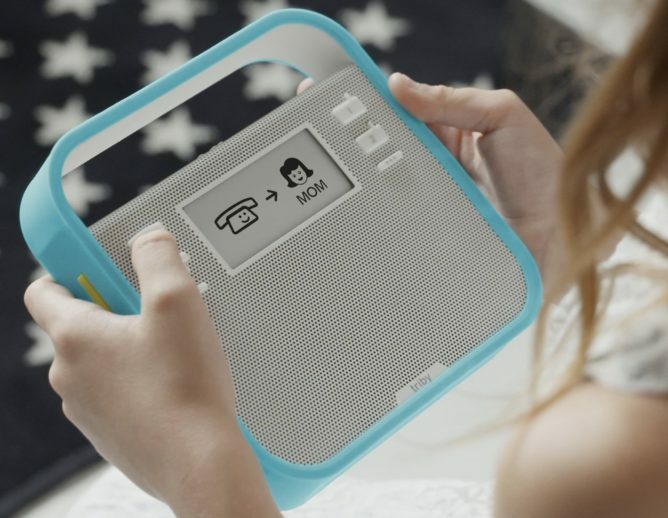 A speakerphone lets you make calls over VoIP or a paired smartphone. If you get two, you have a makeshift home intercom system. There are four colors to choose from, but only the gray model is on sale. The discount is an Amazon Gold Box deal, and it will expire in under sixteen hours.